This is the second cake recipe that I am going to be sharing this week with one more to come later in the week. My sister and I made this for my Dad and her husband for Father’s Day. It was great to be able spend Father’s Day with my dad as I haven’t been able to for quite a few years. My dad, Keith Wood, is an incredible landscape photographer, based in the Highlands of Scotland. I spent my childhood hillwalking with him and got my passion for photography from him. 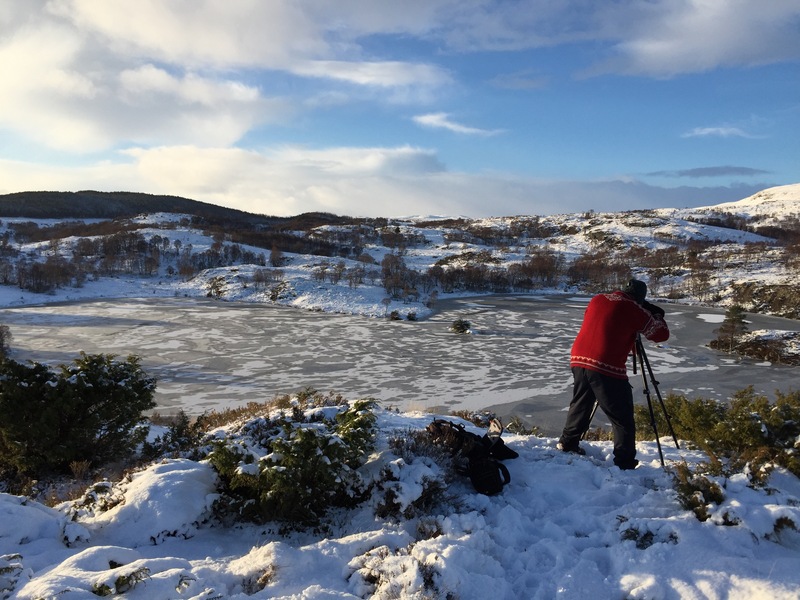 He is spending today leading his photography workshop in the Highlands, teaching people photography skills. I love this cake, not only is it delicious but it is gluten free and dairy free so my sister can eat it. This uses one of my favourite dairy free yoghurts for the filling. CoYo have amazing yoghurts made from coconuts. In this I used the vanilla coconut yoghurt. It is important to keep the yoghurts in the fridge and whip straight from the fridge as it will not whip as well when they aren’t chilled. 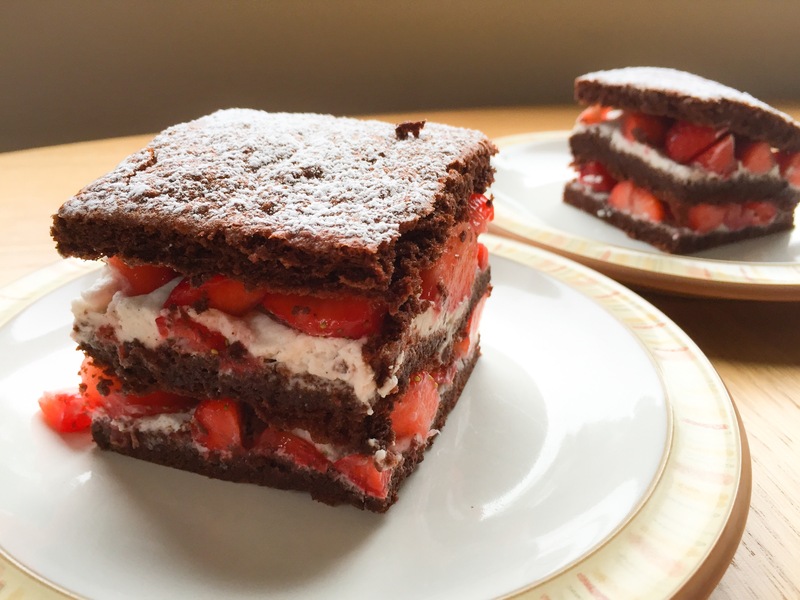 It makes a wonderful coconut filling to the cake which goes wonderfully with the chocolate and strawberries. 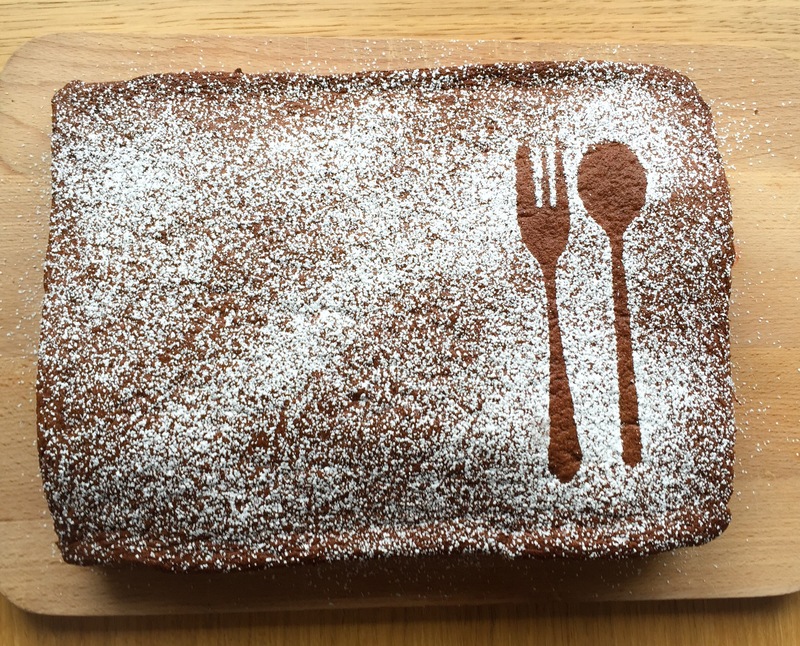 When I first started this blog it was to share all of the wonderful baking recipes I love but it soon developed into sharing my vegetarian recipes too. 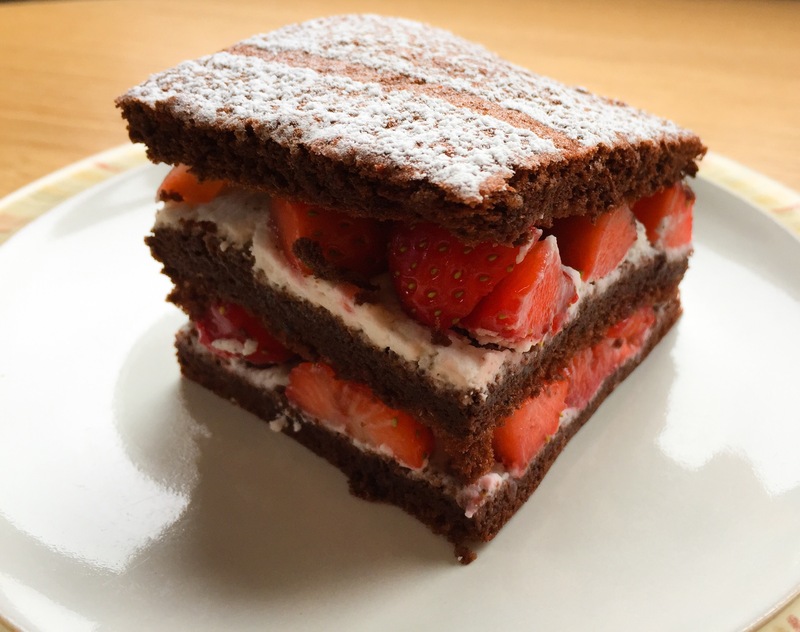 It is great this week to publish so many cake recipes. My birthday, Father’s Day and my nephew’s birthday all fall within the same week which means three cakes in one week. Pre-heat the oven to 180C. Butter and line three 13inch by 9inch tins with baking parchment. Whisk the eggs and caster sugar together in a bowl over a pan of simmering water until they are pale and fluffy, then remove from the heat. Sift in the cocoa powder and fold in to the eggs and sugar. Whisk the egg whites until stiff, then fold this into the mixture. Pour the mixture between the three tins and spread into the edges. Bake for 15 minutes. Once they have cooked leave to cool for 10 minutes in their tins, then cover with a damp tea towel and leave to cool for a further 10 minutes. After they have cooled remove the baking parchment from the cakes. For the icing whisk the coyo yoghurts so with the icing sugar for five minutes. To assemble spread the bottom piece of cake with half the coconut icing, then top with half the strawberries, add a second layer of cake and spread on the remaining coconut icing and strawberries. Place the top layer of cake on and dust with icing sugar. This style cake is one of my husbands favorites!